Almost six months ago, undercover videos purported to show Planned Parenthood official in Texas discussing illegal acts. Texas Republicans pounced, opening up multiple battlefronts against the embattled women’s health organization. Planned Parenthood health centers in Texas do not currently donate tissue for medical research, their officials say, and Planned Parenthood Gulf Coast in Houston hasn't done so since 2010, when it partnered with the University of Texas Medical Branch at Galveston for a study on causes of miscarriages. “We were called upon to investigate allegations of criminal conduct by Planned Parenthood Gulf Coast,” Anderson said in a statement. “As I stated at the outset of this investigation, we must go where the evidence leads us." Planned Parenthood has hailed the grand jury's actions as vindication of its vehement denials that its staff violated any laws. Organization supporters say the felony charges against the videographers throw a wrench into the state's current campaign, which is largely based on the videos. “I haven’t seen any indication that the governor or lieutenant governor of Texas cares what happens to women at all," Cecile Richards, president of Planned Parenthood Federation of America, said in an interview with The Texas Tribune. "It seems to me their entire campaign against women here has been based upon their political beliefs and not about the well being of the people of Texas." 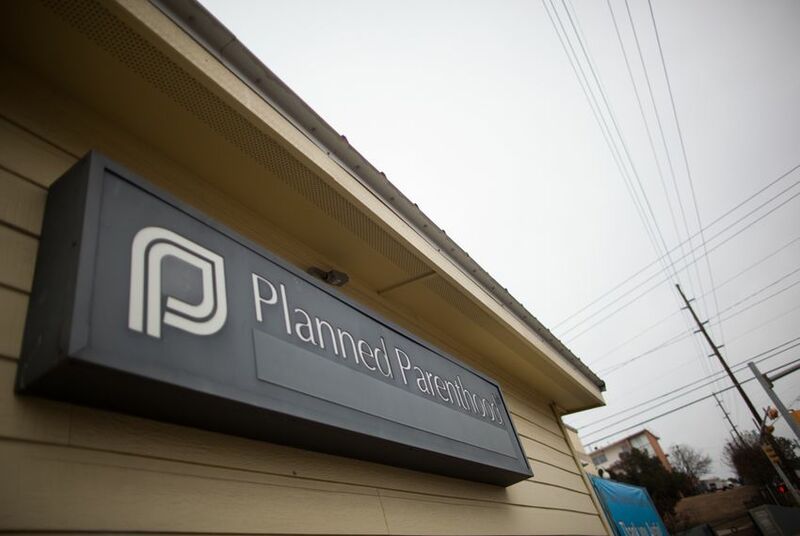 But three months after the state announced its intent, Planned Parenthood is still treating patients through the program, which is separate from the organization's abortion services. "While we don't know why the state has delayed, we do know that the state's actions have been politically motivated from the start,” said Alice Clapman, an attorney for Planned Parenthood Federation of America. “As the accusations against Planned Parenthood continue to fall apart, we hope the state will change course." Following the release of the Houston video, Abbott in August endorsed a flurry of related restrictions. But while the governor echoed similar proposals by Republican senators discussed during a July hearing, he stopped short of calling lawmakers to Austin for a special session on his proposed legislation. "As the state is still conducting an ongoing investigation into Planned Parenthood's activities in Texas, I don't see this week's announcement out of Harris County fundamentally changing the situation,” said committee chair Republican state Sen. Charles Schwertner of Georgetown. “In the upcoming session, I still fully expect to work with my colleagues in the Texas Legislature to pass new legislation banning the sale of fetal tissue and affirming the sanctity of human life."